Sky Sports Pundit Jamie Carragher says that Spain international Diego Costa was lucky for all the actions he meted out to West Ham in their first game of the new campaign. The game started with Chelsea being the favourite to get the win, but West Ham made them fight hard to get the win. Chelsea dominated the game but couldn’t quite get the goals in. Imeeidtaley after the break, West Ham’s Antonio pulled Azpilicueta in the box, forcing the referee to blow for a penalty. Eden Hazard took the kick and scored Chelsea’s 5000th goal in top flight football. In the 75th minute, French play maker Payet sent a low but goal-bound free kick but the wall deflected the ball out for a West Ham corner. Payet sent another brilliant effort from the corner, James Collins heads it down but it was blocked with the hand by a Chelsea player, as the calls for a penalty are ongoing, the ball drops again but Collins makes no mistake as he sends the ball to the back of the net with a left-footed volley. Costa already picked up a yellow card in the course of the game, yet he launched a reckless challenge unto the Hammers goalkeeper Adrian. The referee decided to ignore the calls for another yellow card which would have sent Costa out of the game in the first of the season. Carragher said: “This is a straight red card, that challenge there, it’s typical Costa, it happens too often.” West Ham suffered a second affliction when same Costa scored the match winner in the 89th minute to give Chelsea full three points. 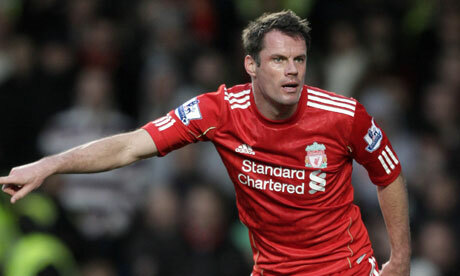 Next Article Remember how Carragher avoided a red card?